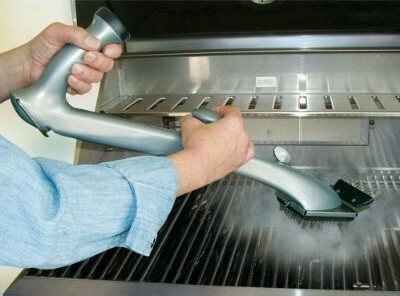 The innovative Grill Daddy Pro Grill Brush uses the cleansing power of steam to clean tough hardened grilled-on food and grease stains. + It is constructed from Stainless-Steel bristles & is safe for cast-iron, steel, or porcelain grill grates. 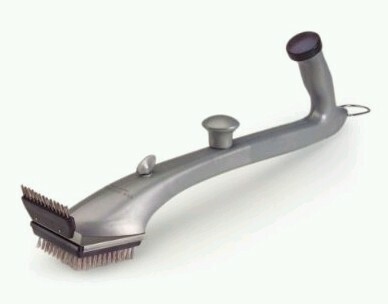 + Long, sturdy handle keeps you away from the heat while cleaning with the 2 sided brush head.